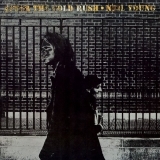 "Like the summer sunshine, Pour your sweetness over me"
After The Gold Rush (this album) (1970), Live Rust (1979), Live In San Francisco (2007). Showing latest 5 ratings for this track. | Show all 230 ratings for this track. Good rocker. Excellent vocals on this track.